Laser research. 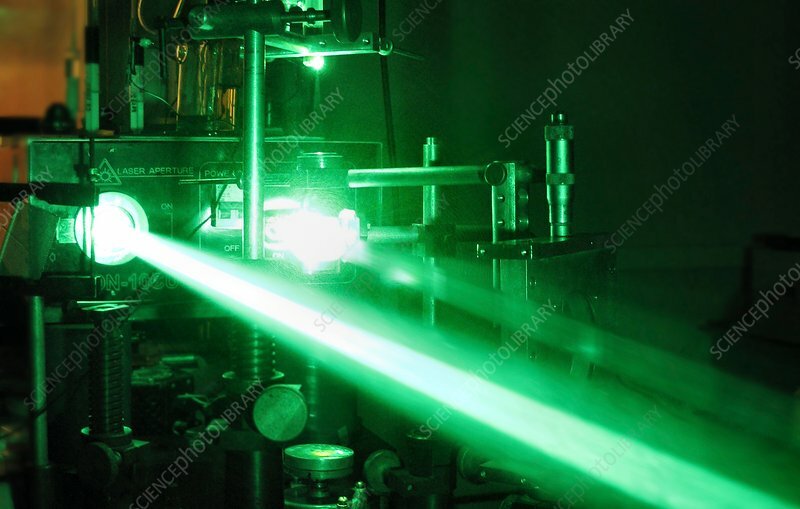 Green laser beam being produced by a laser in a research laboratory. The acronym LASER stands for 'light amplification by stimulated emission of radiation'. The laser was developed in 1960 and laser technology is now used in many different areas, including medicine, telecommunications, the military, industry, and scientific research.